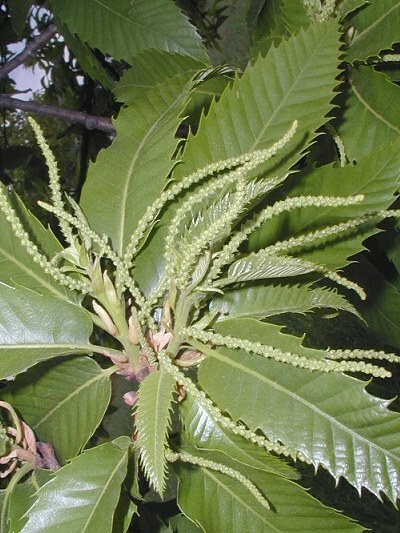 Description: Sweet chestnut can reach a height of 100 feet. It prefers bright places and open woods; however, it will grow in the most varying kinds of soil. The long leaves are dark green and finger-shaped. The catkin-like, fragrant blossoms grow to 10 inches long and come after the leaves. It blooms from July to August.